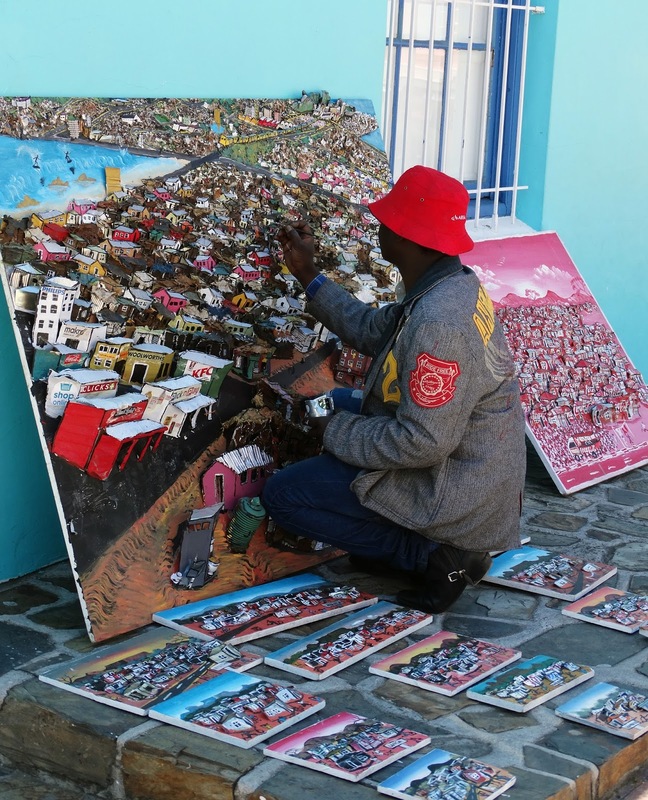 Bo-Kaap is a historic district of Cape Town and former township (where people were forced to relocate during Apartheid). The Malay Quarter (as it was previously known) has a unique and rich history, and is famous for the colorfully painted buildings. 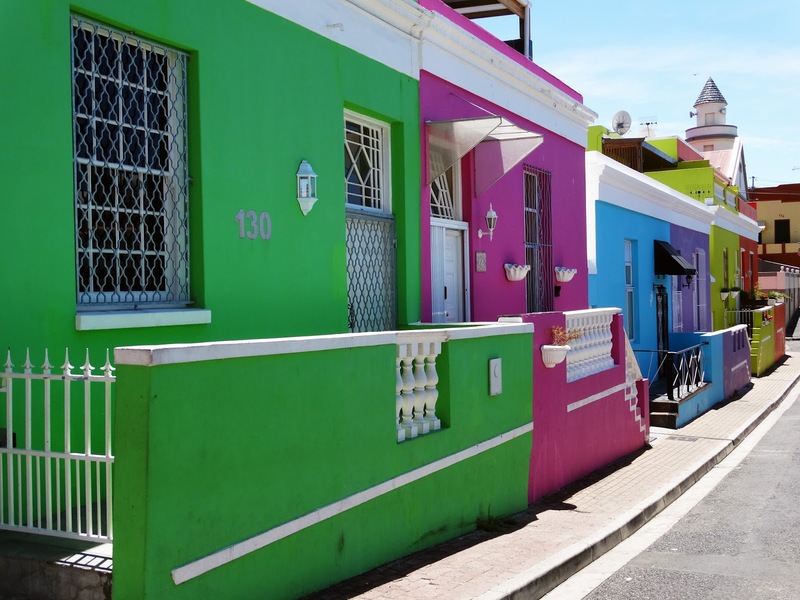 Take a walk around the small but beautiful community, visit the oldest Mosque in Cape Town, or learn more about Bo-Kaap's history at the Bo-Kaap Iziko Museum. 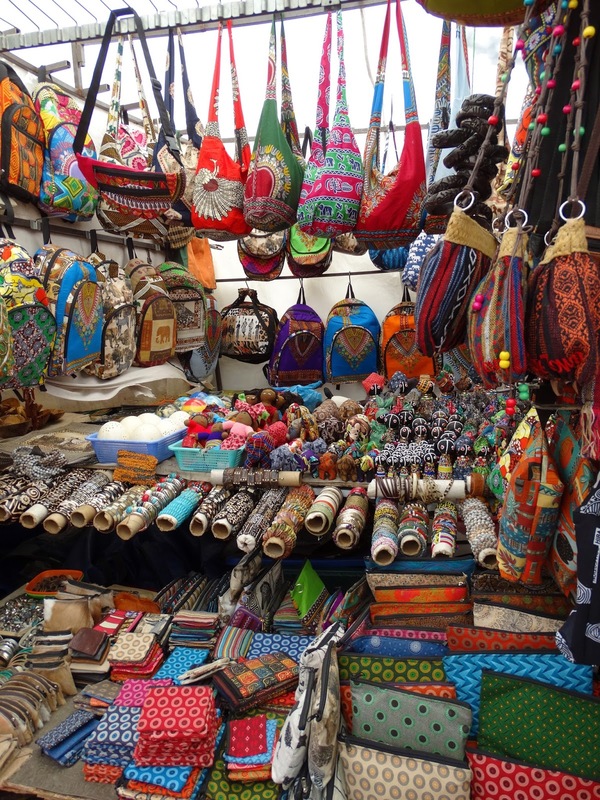 I love this outdoor market for finding some cool trinkets to send home, handmade jewelry, or traditional fabric. Make sure to have cash on hand! Stop here for a bite to eat at a nice restaurant with gorgeous views of the Cape Town Harbour, the bay, and Table Mountain. I personally love the V&A Food Market, which is a two-story building full of local food vendors. The waterfront is home to some cute, boutique shops, a giant Ferris wheel, kids' activities, and countless street performers. 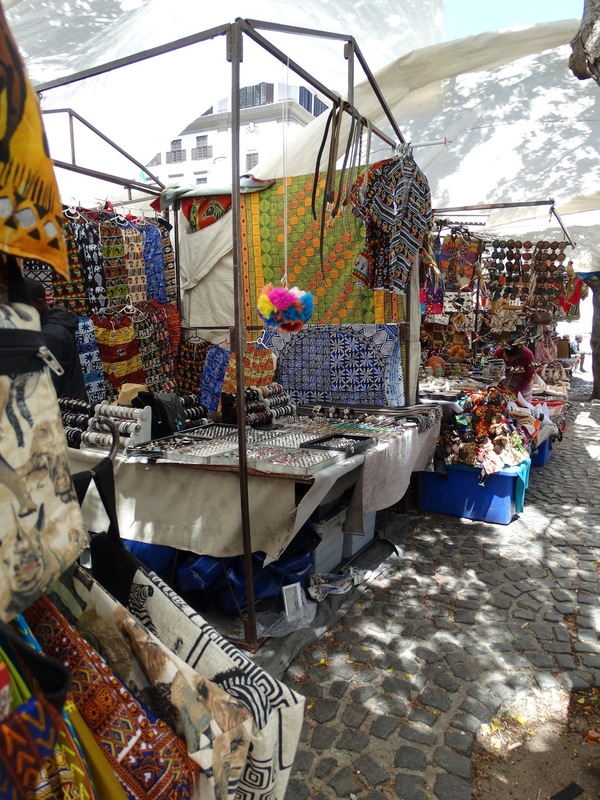 This is also the starting point for many tourist activities such as helicopter tours, boat rides, Robben Island, whale watching, etc. 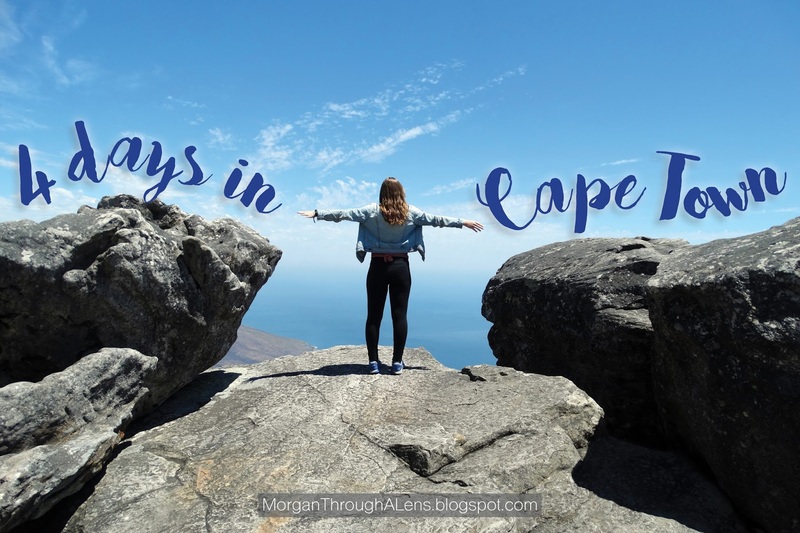 If you're interested in exploring outside of Cape Town, definitely take a day to tour the Cape Peninsula. Whether you're interested in strolling through small beach towns, taking a surf lesson, viewing wild penguins, visiting the south-western tip of Africa, or testing your fear of heights on Chapman's Peak - there's something for everyone. One of those cute beach towns I mentioned. Great views of False Bay and plenty of surf shops. We ate a restaurant called Tiger's Milk - a favorite of foodies everywhere. St. James Beach is a historic beach just south of Muizenberg and is famous for the brightly colored changing rooms that line the beachfront. Instagramers everywhere are salivating at the sight. Boulder's Beach is located within Simon's Town (also an adorable beach town) and is famous for the wild penguins that call the beach home. Pay just R65 and get an up close and personal view. FYI, the penguins are just as picky about good weather as we are. Try to go when the sun's out and the wind is calm. Shelby and I went on a very windy day and didn't see as many penguins as we would have liked. Instead of strolling the beach alongside visitors, they were protecting themselves on the hot rocks. 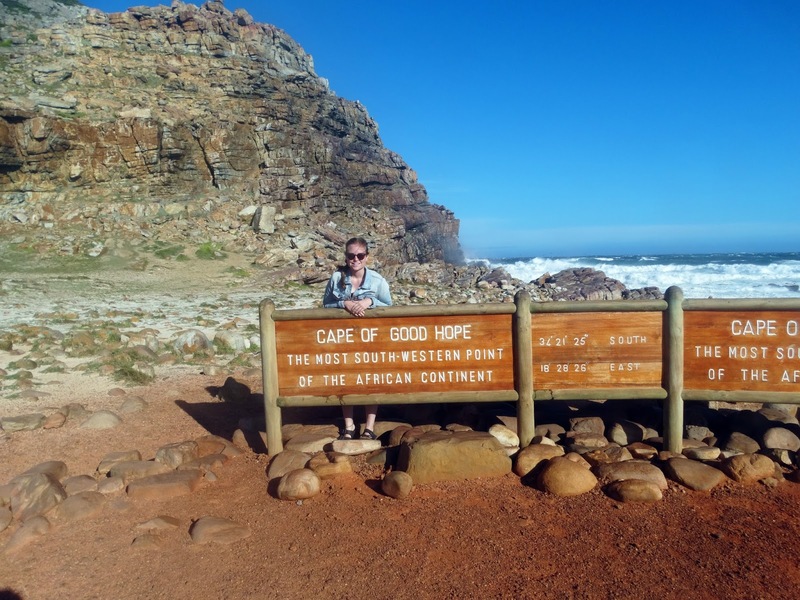 Cape of Good Hope is in the large Cape Point Nature Reserve at the southern tip of the Cape Peninsula. 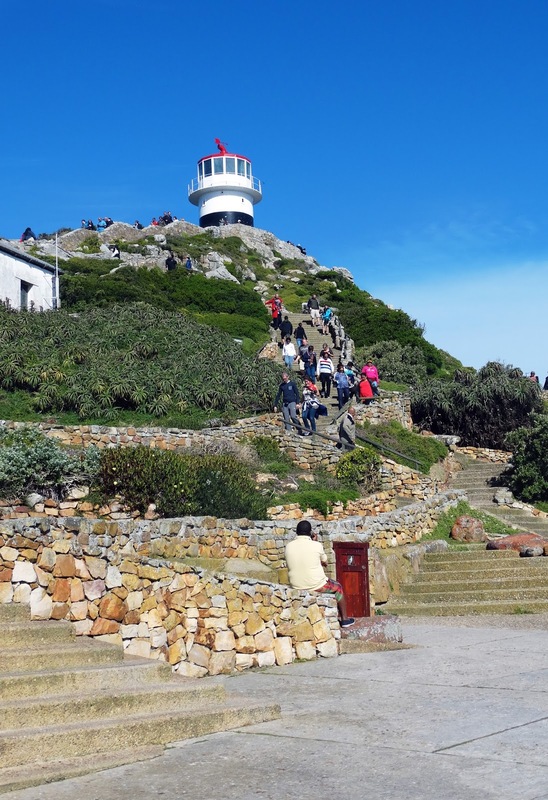 To get into the park (and see the Lighthouse and the south-western tip) you must pay R75. 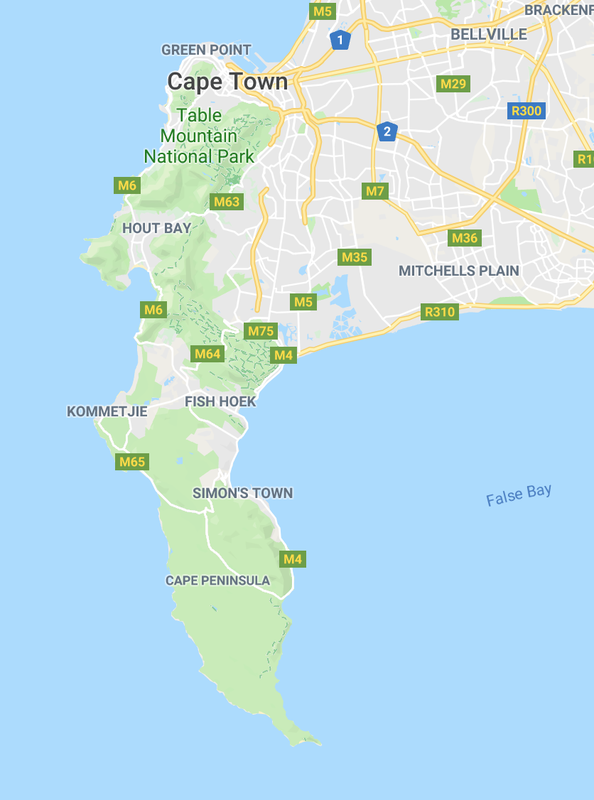 This area is sometimes thought to be the southernmost point of Africa, but that spot is actually a few hundred kilometers to the east (more about that later). The day Shelby and I went was extremely windy, so check the weather before you hit the road. 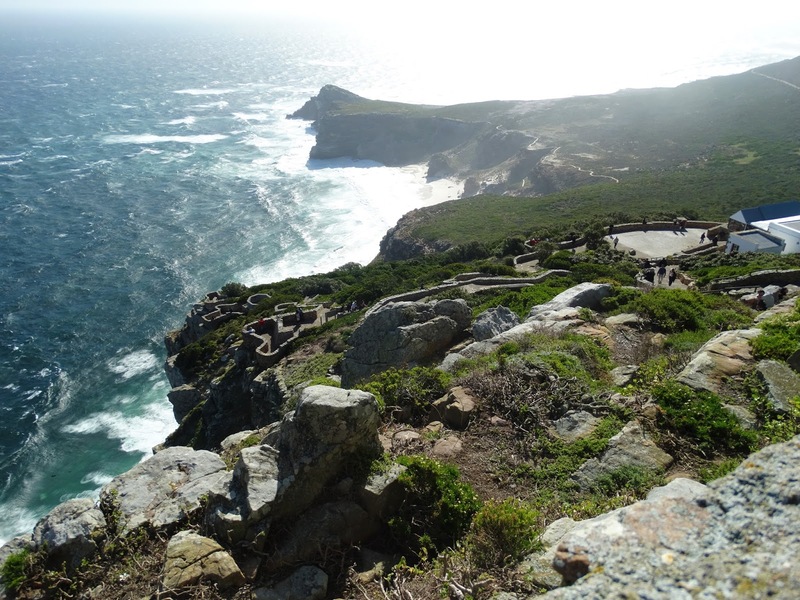 The Cape Point Lighthouse is also within the Cape Point nature reserve. If you hike up to the lighthouse, you'll be rewarded with gorgeous views of the Cape. Pay R30 (return) to take the Flying Dutchman Funicular up to the base of the lighthouse if you want to skip the hike and save some time (Shelby and I totally did). 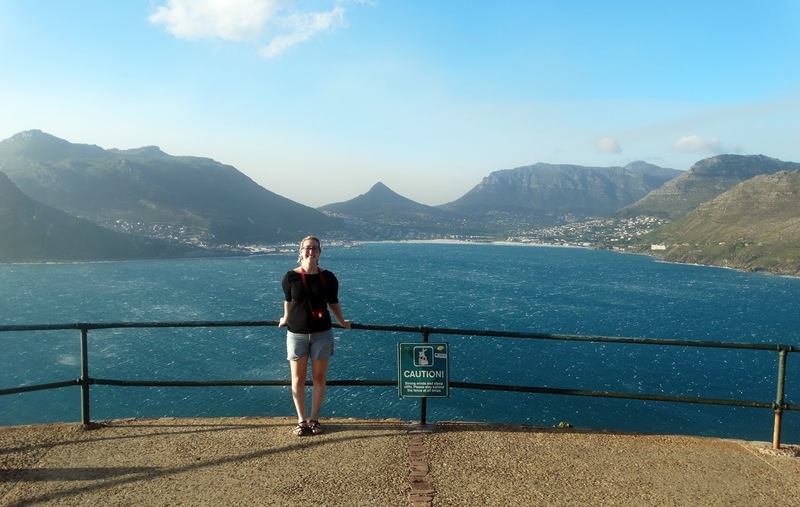 Chapman's Peak is a driving route that takes you along the eastern coast of the Cape Peninsula. At times the route curves through seemingly treacherous cliff side roads, but the views are totally worth it! There are also many places to stop along the way for hiking, fishing, shopping, water sports, whale watching, and horseback riding. Expect a R45 toll for standard vehicles. Table Mountain is a fickle, fair-weather friend. Literally. Unless the weather is almost perfect, Table Mountain is either closed or not worth the trip. Shelby and I tried to go our first day but the wind was so bad that the cable cars, which take you up the mountain, could not run (check the website for updated conditions). 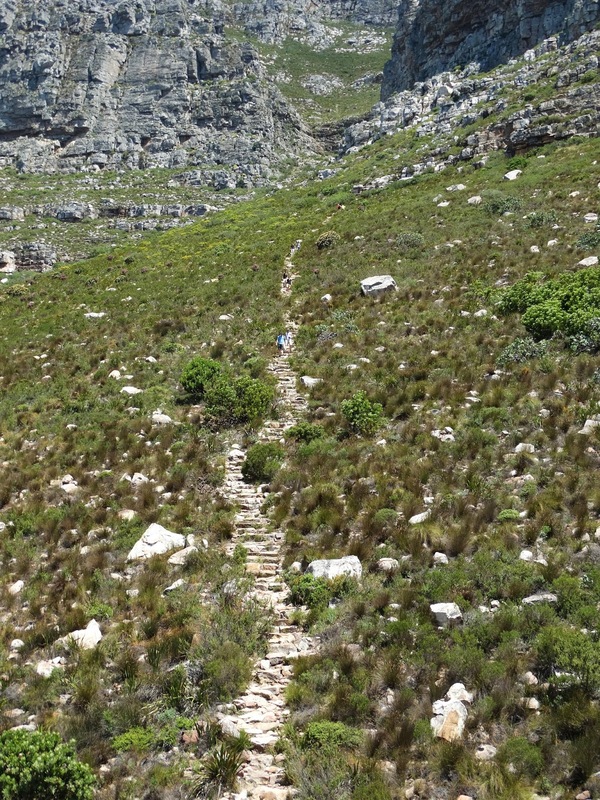 Granted, there are options for hiking up Table Mountain, but if the wind is too strong for the cable cars, it's too strong for an enjoyable hike (trust me, I did it). 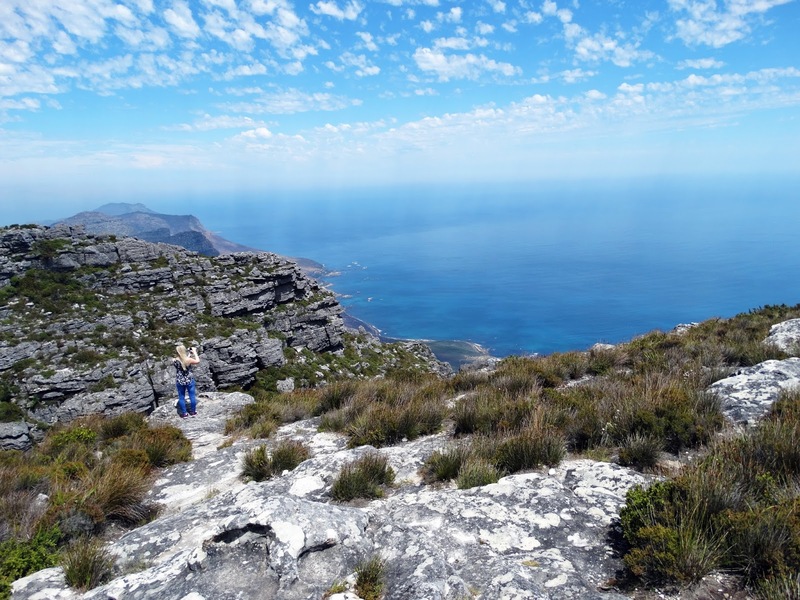 If you make it to the top, the views of Cape Town are incredible! There are also multiple hiking routes along the top of the mountain ranging from 15 mins to over an hour. 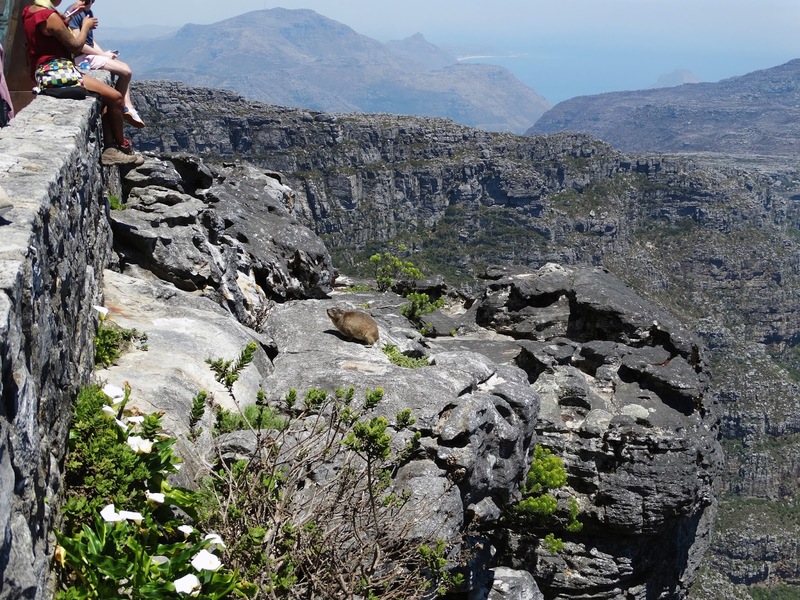 Table Mountain has a rich biodiversity and adorable, local wildlife. Don't forget to send a postcard from the top! Tips: Plan and book in advance. The line to board the cable cars is already long, you don't want to also wait in line to buy tickets. Also, get there early. Try to take a taxi or uber because parking at the base of the mountain is hectic. 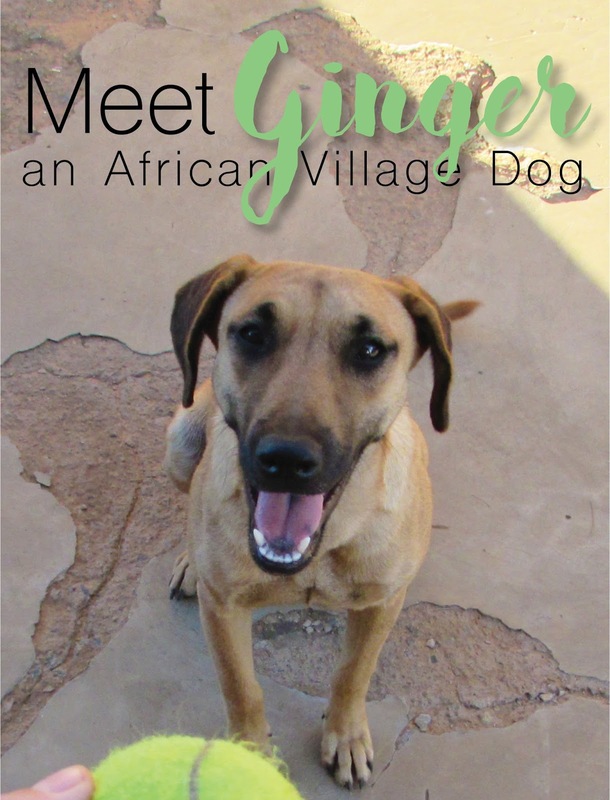 Tickets range from R100 to R400 depending on who you are and when you go. Kirstenbosch is a large botanical garden located next to the University of Cape Town (notice the hat?). Entrance fees are only R65, but I suggest going when there is an event or outdoor concert (unless you are easily entertained by flora and fauna). Shelby and I bought some food and ate a quick lunch on the lawn. Robben Island is a small island off the coast of Cape Town. During Apartheid, the island was used to hold political prisoners. 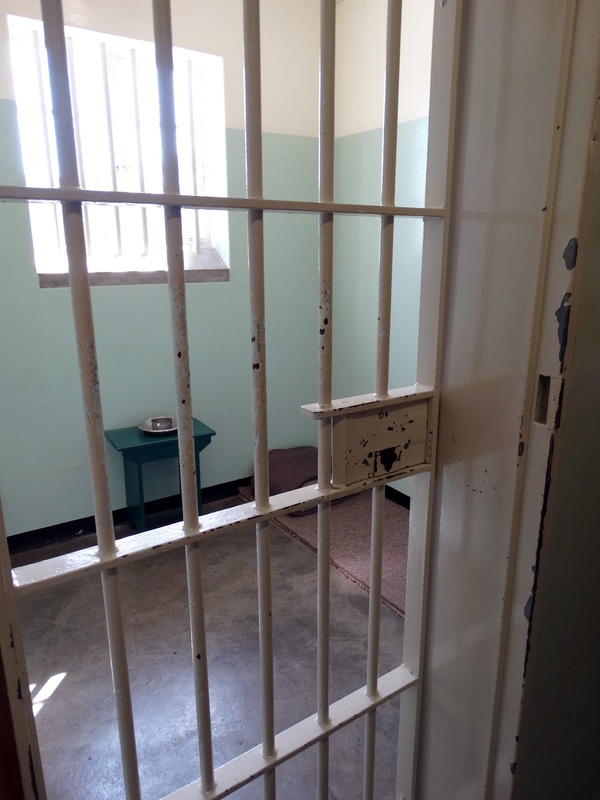 Nelson Mandela was held on this island (the picture is of his exact prison cell) from 1964-1982. What I love about this experience is that every tour is led by a former prisoner from the island. They have so much insight and knowledge about the island and Apartheid in general. In fact, all the tour guides, island employees, and their families still live on the island. Its like a small, isolated country of it's own. I didn't take a ton of pictures but I took some video, which should be on YouTube soon. 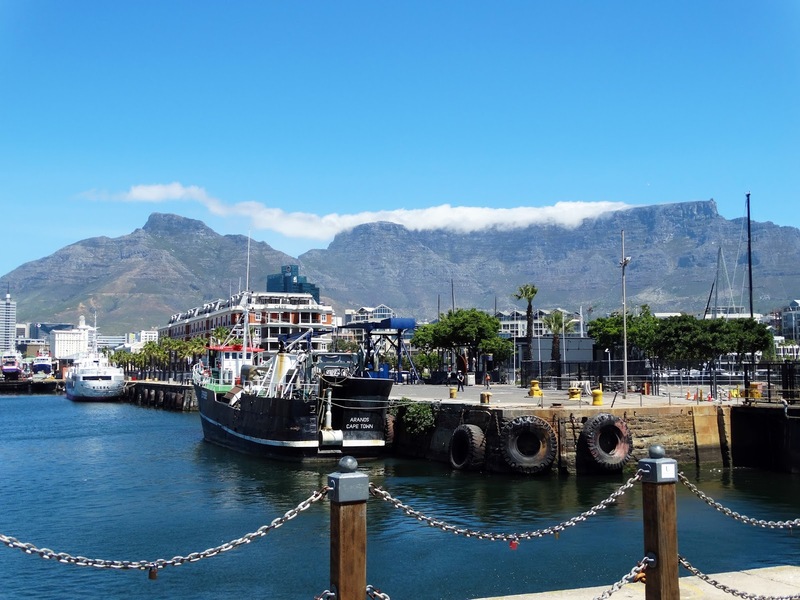 You have to take the official Robben Island ferry to get to the island. The whole experience takes about 3 - 4 hours and costs R340. Make sure to book in advance. I also want to recommend Rick's Cafe Americain in Cape Town. It's based off the movie Casablanca and has delicious Moroccan food! Okay, that's all. 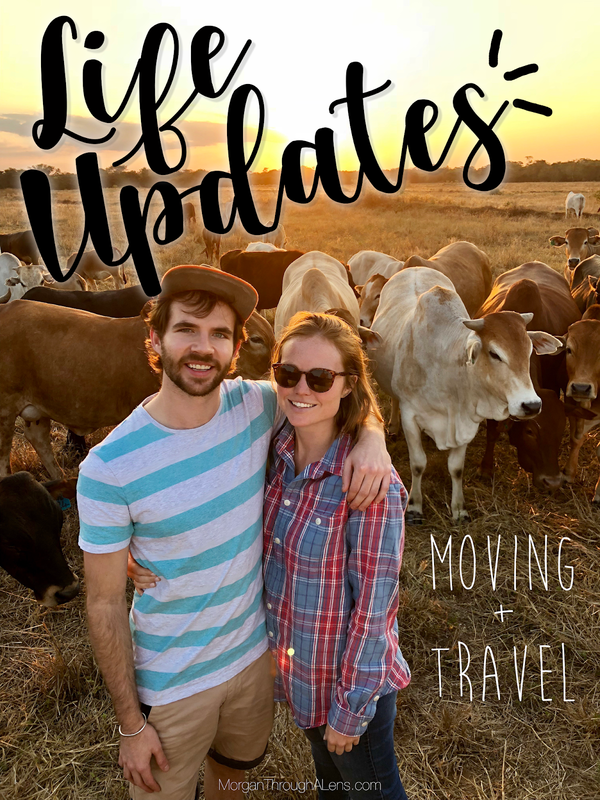 Thank you so much for reading about our trip to Cape Town! 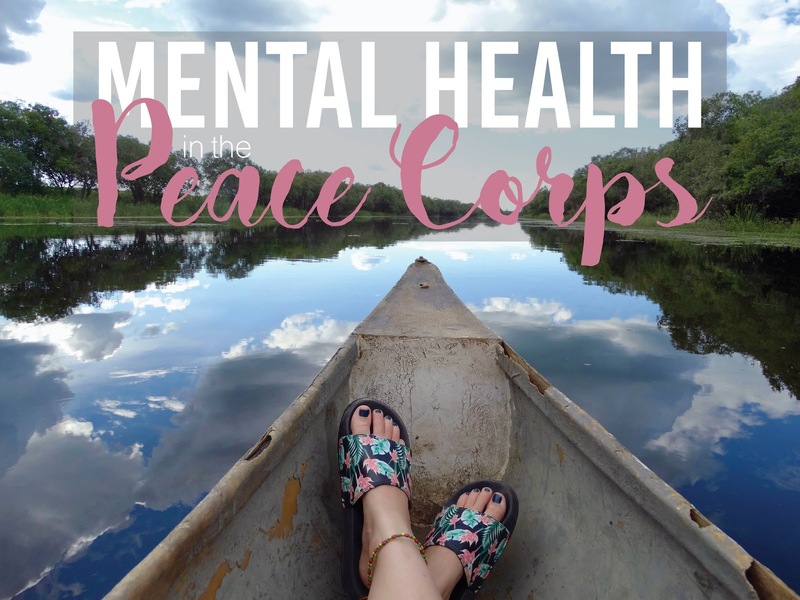 If you are planning a trip of your own and need some advice, let me know! If there is something amazing you think I missed while in CT, leave it in the comments so I can check it out next time!